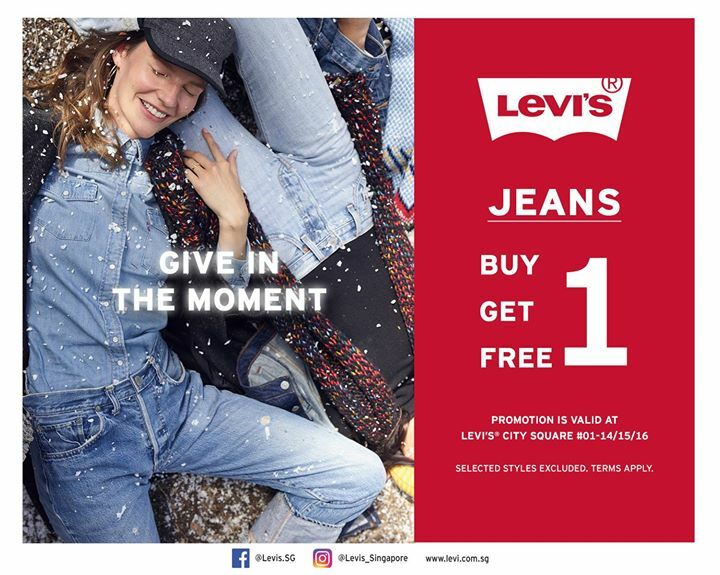 Home > Singapore Latest Promo, Deal, Sale > [City Square Mall] Gift yourself a pair of jeans this festive season and get a second pair for free! [City Square Mall] Gift yourself a pair of jeans this festive season and get a second pair for free! Gift yourself a pair of jeans this festive season and get a second pair for free! Find out more at Levi's (City Square Mall #01-14/15/16) today! Promotion is valid till 1 Jan, other T&Cs apply. Previous: [World of Sports] The new year is almost here! Next: [MUJI Singapore] Great deals up for grabs starting tomorrow!